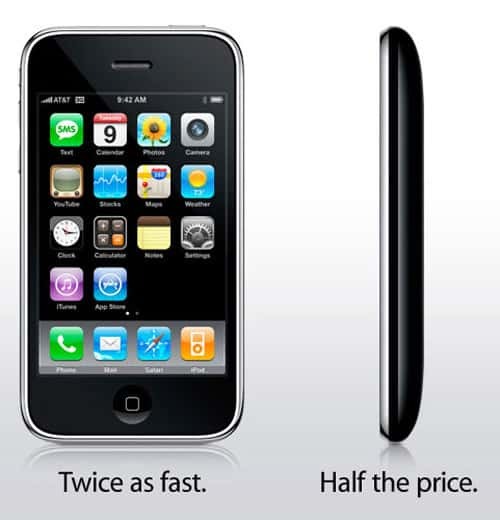 Home » iPhone Tips » Is It Possible to get an iPhone 3GS for free? Apple has been announced the release of their latest innovation in terms of their iPhone Smartphone and this was the iPhone 4S phone. Despite it having disappointing reactions initially, it has already become the fastest selling pre-order device that Apple has ever created. However, the iPhone 4S is pretty expensive, even on a contract and if you are simply looking to get any of the iPhone models, you can actually get the iPhone 3GS free of charge. Sure, the iPhone 3GS gadget is a couple of models older than the new iPhone 4S but it is still a great phone. The thing that you need to remember about the iPhone is that they all run the same iOS software so they work in pretty much the same way. If you are looking to get your hands on a 3GS device, then you can actually now get a two year contract in the United States with the device and you will get the phone free of charge. Previously, this phone has always cost a small amount but now, it is easier than ever to get your hands on one. Of course, signing up to a contract for two years does mean that the phone isn’t really free, but it is as cheap as it can be. The iPhone 3GS is available in the 16GB or 32GB memory and it is a great phone if you are looking to upgrade to an iPhone.